Stand out in your style with this bracelet. This large cuff bracelet features a channel on the surface perfect for adding flat leather. The channel is 30mm wide, so you can use different combinations of 5mm, 10mm, and even 20mm flat leather. You can also create stitched seed bead designs to fit into the channel. Simply glue the focal into the channel to create a professional look you can layer into any ensemble. You can also try filling the channel with epoxy clay.A small hole at each end of the bracelet opens up even more possibilities. It features a versatile and brilliant silver shine. Showcase leather or seed beads in your style with this bracelet. This cuff bracelet features a channel on the surface perfect for adding 10mm flat leather. You can also create stitched seed bead designs to fit into the channel. Simply glue the focal into the channel to create a professional look you can layer into any ensemble. You can also try filling the channel with epoxy clay. A small hole at each end of the bracelet opens up even more possibilities. This bracelet displays a regal golden shine, perfect for pairing with classic colors. You'll love creating unforgettable jewelry with this cuff bracelet. This bracelet features a hook on each end for interchangeable style, so you can add a different focal at any time. Switch out the focal to match your mood or ensemble. The versatile style also works with a lot of different looks. You'll love pairing the silver shine with any color palette. Add this bracelet to your wardrobe today. Create a unique bracelet style with this cuff. This cuff bracelet features a channel on the surface perfect for adding 10mm flat leather. You can also create stitched seed bead designs to fit into the channel. Simply glue the focal into the channel to create a professional look you can layer into any ensemble. You can also try filling the channel with epoxy clay. A small hole at each end of the bracelet opens up even more possibilities. This bracelet features a versatile and brilliant silver shine that will work with any style. This silver-plated brass bracelet features antique accents with small round links. The links have a shallow bowl design that provides an antique appearance. These bracelet links can be embellished your favorite pictures, beads, and papers, then set with our excellent Ice Resin. You can also add 12mm round cabochons to these bezels. This embellishment will give you a personalized look that you will love to wear. The combination of the antique silver-plated brass with the unique design creates a vintage-inspired bracelet that is bursting with personality. Try custom style with this bracelet blank from ImpressArt. This aluminum bracelet blank is perfect for metal stamping projects. Decorate it however you see fit. Personalize it with initials, names, or special messages. Add patterns for a more stylized look. Once you've stamped your designs onto the blank, curve the bracelet to fit your wrist. You'll love adding a bracelet full of your own personal style to your collection. Let your creativity flow with this bracelet blank from ImpressArt. This aluminum bracelet blank is perfect for metal stamping projects. Decorate it however you see fit. Personalize it with initials, names, or special messages. Add patterns for a more stylized look. Once you've stamped your designs onto the blank, curve the bracelet to fit your wrist. You'll love adding a bracelet full of your own personal style to your collection. Add unique style to your looks with the help of the Nunn Design antique copper-plated Brass cuff bracelet. This cuff features a smooth surface and raised edges, giving you a recessed area to embellish. You can add epoxy clay or other mixed media elements to completely transform this piece. You could even decorate this bracelet with trendy leather. This cuff features a generous opening in the back, so it's easy to take on and off. 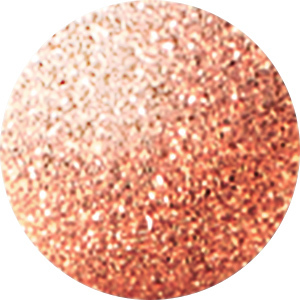 It displays a dark copper color, perfect for using with rich earth tones or royal colors. Make your own style with help from the Nunn Design antique silver-plated Brass narrow channel bangle bracelet. This thin bangle features a recessed channel wrapping around the surface. Fill it with epoxy clay and start creating a customized look. You can decorate it with Flatbacks, beads and more. This bangle easily slips on for a trendy look. You'll love making a style statement with this bracelet. It features a versatile silver color. Go for bold styles with this bracelet. This wide cuff bracelet features a channel on the surface perfect for adding 20mm flat leather. You can also use two strips of 10mm flat leather or four strips of 5mm flat leather. You can also create stitched seed bead designs to fit into the channel. Simply glue the focal into the channel to create a professional look you can layer into any ensemble. You can also try filling the channel with epoxy clay. A small hole at each end of the bracelet opens up even more possibilities. This bracelet features a regal golden shine full of classic beauty. Bring endless style to your designs with this connector link. It is made to work with the sterling silver interchangeable cuff bracelet. The figure-eight shape features two open loops that will hook easily into the ends of the bracelet. You'll love showcasing this beautiful component at the center of your designs. The brilliant silver shine will work with any color palette you have in mind. Get larger-than-life style with the help of this 2-inch brass flat bracelet cuff. This wide cuff will certainly spice up your looks as a bold accessory that everyone will notice. Dress it up with embellishments, Gilders Paste and more. This cuff is made of brass and features a warm golden shine that will give your looks an exotic touch. Use this bracelet to showcase a bold cabochon or decorate it with Swarovski Flatbacks. Add versatile style to your designs using the Nunn Design antique silver-plated Brass cuff bracelet. This cuff features a smooth surface and raised edges, giving you a recessed area to embellish. You can add epoxy clay or other mixed media elements to completely transform this piece. You could even decorate this bracelet with trendy leather. This cuff features a generous opening in the back, so it's easy to take on and off. It displays a soft silver shine with an antique finish. Showcase something special in your style with this Centerline cuff bracelet. This cuff features a rectangular cut-out at the center with 23 small holes on both sides. Use the holes to stitch unique focal pieces into the center of this bracelet. You can create beaded embellishments, fabric art, and more to decorate the center. Try a peyote stitch strip or a loomed piece. You can even stitch beads directly onto the bracelet using the small holes. Try wire wrapping, too! This bracelet displays a lovely silver gleam that will work with a variety of color palettes. Accent looks with bold style choices like this 1-inch brass flat bracelet cuff. This cuff can help you create your own unique style. Dress it up with embellishments, Gilders Paste and more. This cuff is made of brass and features a gorgeous gold glow. You can use this thick cuff to show off an amazing cabochon or embellishment. Pair it with dramatic reds, regal purples or other vibrant colors. Create something unique with this Centerline cuff bracelet. This cuff features a rectangular cut-out at the center with 23 small holes on both sides. Use the holes to stitch unique focal pieces into the center of this bracelet. You can create beaded embellishments, fabric art, and more to decorate the center. Try a peyote stitch strip or a loomed piece. You can even stitch beads directly onto the bracelet using the small holes. Try wire wrapping, too! This bracelet features a versatile silver shine, so it will work with any color palette you may have in mind. For unique bracelet designs, try this cuff. This thin cuff bracelet features a channel on the surface perfect for adding 5mm flat leather. You can also create stitched seed bead designs to fit into the channel. Simply glue the focal into the channel to create a professional look you can layer into any ensemble. You can also try filling the channel with epoxy clay. A small hole at each end of the bracelet opens up even more possibilities. This cuff shines with golden glory, so you can pair it with classic styles.